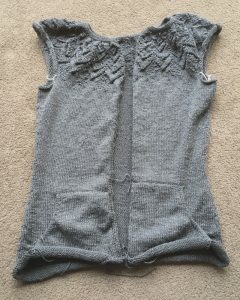 This entry was posted in Knitting and tagged Fairisle, Finished things, Procrastination. Bookmark the permalink. Wow- you finished it! I think it is beautiful on you and I would wear it proudly. I believe it would be my all new favorite. Thanks for sharing.